MYW conquer the Cycle Tour! The McGregor Young Warriors, 13 young riders from McGregor, completed the recent Cape Town Cycle Tour on Bike4All utility bikes. MYW, as they are known, was established in2016 are committed to encouraging youth to lead a healthy lifestyle through the sport of cycling. “It all started three years ago with my involvement at Ride2Nowhere stage event in our village,” says Max Menzies. “Now we have a 12-person mountain biking racing team who are capable of completing any event in SA. 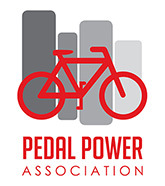 We have representation at PPA events, Lighthouse2Lighthouse, Wine2Wales, Cape Pioneer and, of course the Ride2Nowhere. Dressed in their MYW kit, all 13 of the young riders finished what was a pretty tough Cape Town Cycle Tour, given the strong winds. “Cycling truly effects lives inour village in such a positive way. It is such an uplifting experience and the greater village is fully supportive of everything we do. 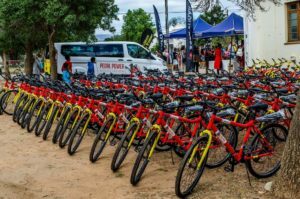 Our young cyclists (15 to 19 years) have a structure and mentorship programme that they comfortably slot in and become better people for it,” says Menzies. 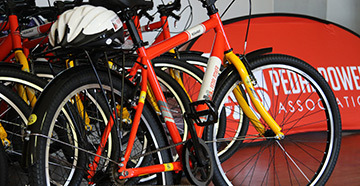 MYW also has a bike rental and tours operation that they manage. It’s run by MYW member, Mandell, who is employed full-time to run it. Mandell is effectively the MYW team captain and will be registering at UNISA and study while earning an income through cycling. 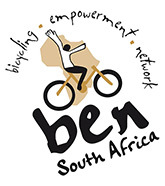 Last year, Bike4All donated over 200 Utility and BMX bikes to the community of McGregor.